Volvo, the Swedish carmaker recently entered the Indian market with its two entry level sedans S60, S 80 and a SUV XC60. Volvo is known brand in the international market but in India till date it has not been able to do much. The company is regularly trying to establish itself in the growing Indian car market. It already has launched 4 models, three of them are the entry level models and the fourth one is the Volvo XC90 which was launched a few weeks later. The Volvo S 80 model is present in the market in five different variants which are Volvo S 80 D5 diesel, Volvo S 80 3.2 Petrol , Volvo S 80 V8 AWD, Volvo S 80 D3 kinetic and Volvo S 80 D3 Summum. Initially only the D5 and petrol variants were launched but later on the company came up with the D3 versions. If the company will be able to establish itself well in the Indian market then it is surely going to give a tough competition to the other luxury car makers already present such as Audi, Mercedes, Volkswagen and BMW. Volvo S 80 3.2 Petrol is the base petrol variant of the car. But still its price is higher than the Base diesel variant. S 80 3.2 petrol is the powered by a six cylinder petrol engine which produces a power of 234.7bhp at the rate of 6200rpm and a torque of 320Nm at the rate of 3200rpm. The engine comes mated with a 6 speed automatic transmission to further improve the efficiency of the car. The acceleration provided by this sedan is quite amazing, with the power and torque generated we can readily accelerate the car from 0-100kmph in just 7.9 seconds and can touch top speed of 240kmph . But with the increase in power for sure there is a reduction in the fuel economy of the car. The mileage produced by the car is around 9kmpl which is less than the 13kmpl that produced by the diesel engine. The exterior of the car is totally different from the other sedans present in the market. Theres not much designing or cuts across the car rather it has very simple design. But the interior of the car surely has been paid great attention, it has been designed with utmost care to give a soothing effect to the onlooker. The exterior of the car has been made very simple which makes this car look more luxurious. From the front to the rear, all is a definitive example of the work done by the Volvo Engineers. The front look in enriched with the eagle shaped headlamps that consists turn indicators and Xenon lamps. Enclosed between the headlamps is the front grille which has the company arrow. While the lower grille comes in three compartments. At the middle, a chrome finish skirt is there whereas fog lamps are located at both end of the grille. Front, side and rear skirts are in body color which add to the sporty image of Volvo S 80 . At the side the car has body colored ORVMs with LED turn indicator. 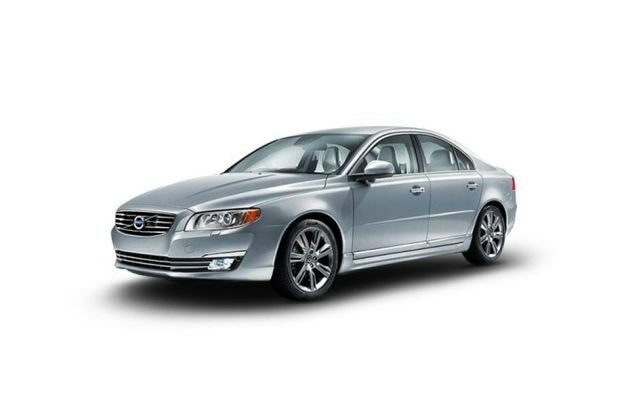 Roof hatch, headlight washer, rain sensor, parking assistance rear and front, water repellent front side windows, chrome door molding lower etc are other stunning features which enhance the majestic look of the Volvo S 80. The interior of this sedan is the area where Volvo has paid much attention. In the front there is a funky looking dashboard with the multi function steering wheel covered in leather. Behind the wheel is the instrument pane which is clearly visible to the driver, this cluster includes the trip computer, tachometer, temperature gauge and clock. The rear seat row can be folded down part or all two-split seat. That allows extra-long items via rear hatch in the rear center armrest. Front, driver and rear seats are added with heat system which add comfort in cold mornings or nights. The sedan is powered by a common rail turbo diesel engine which provides a displacement of 2400cc . It has a total of 5 cylinders with 5 valves per cylinder in DOHC configuration . The bore x stroke of the car is 81 x 93.15mm. The engine can produce a maximum power of 215bhp at the rate of 4000rpm and a maximum torque of 420Nm for a range between 1500-3250rpm. This FWD car comes mated with a 6 speed automatic transmission system which further enhance its efficiency. The acceleration produced by the car is also pretty good. The power and the torque generated can readily accelerate the car from 0-100kmph in just 8 seconds . The car can touch a top speed of 230kmph which is surely going to attract the speed enthusiasts. But as the power is increased there is a decrease in the fuel efficiency, it delivers a mileage of 10.1kmpl on the city roads and 16kmpl on the highways. The sedan has a fuel tank capacity of 70 liters so that we can cover a distance of 910kms once full tank without refueling . The brake mechanism of the car has Ventilated disc brakes both in the front and rear. It also has features like ABS with brake assist which provides effective braking and avoid any skidding of car. The handling is done with the help of a power steering wheel which provides a turn radius of 5.85 meters. In the suspension we have McPherson spring struts with anti-dive, anti-lift function & anti-roll bar in the front while at the rear we have Active multi-link independent rear suspension with anti-roll bar. The suspension system avoids any inconvenience caused due to the shocks, bumps and vibrations. It has tubeless radial tyres with a tyre size of 245/40 and a wheel size of 17 inches. The safety features in the car include the ABS with brake assist that recognizes the drivers intent to make a sudden stop by monitoring the rate of braking within a fraction of second and reducing the wheel stop distance by as much as 20%, airbags, Xenon headlamps, rear seat belt with seat belt warning, Front and side impact beams, traction control, keyless entry, tyre pressure monitor, engine immobilizer and engine check warning . It also has a crash sensor which alerts the driver when there are some chances of a collision. Just like the safety features the car also has highly advanced comfort features which ensure a comfortable drive to the passengers and the driver. The driver seat is electronically adjustable with memory. The memory system can save up to 3 different seat and door mirror settings. The system is linked to the central locking remote controls. In the same way passenger seat can be reset automatically . The rear seat row can be folded down part or all two-split seat. That allows extra-long items via rear hatch in the rear center armrest. Front, driver and rear seats are added with heat system which add comfort in cold mornings or nights. However, heated front seat is standard in Volvo S 80 V8 but optional in rest of the variants in India. And rear heated seats are optional for all Volvo S 80 variants. The front seat of the Volvo S 80 V8 comes equipped with massage chair and ventilation function. The vehicle is blessed with ample storage space inside the cabin and boot. The cabin is provided with front center armrest with cup-holders and glove box. Storage pockets are there at front door panel and front seat back. Boot space of 480 liters is there to be used for big items. This can be further increased by folding the rear seats. The car is fitted with grocery bag holder and cigarette lighter and ashtray. Safety and comfort features, acceleration and top speed.